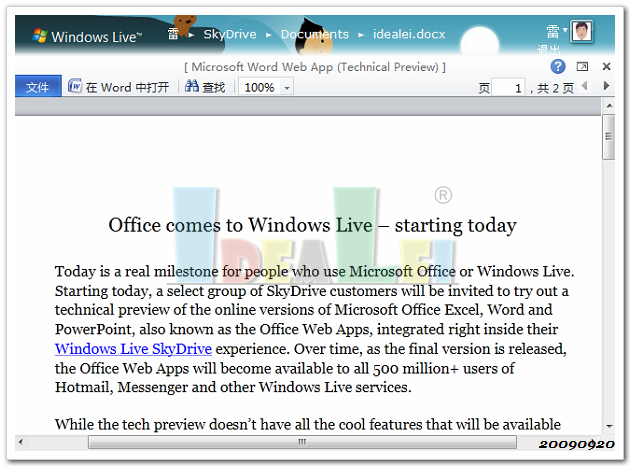 In September, we announced the Tech Preview of the Office Web Apps on Windows Live. 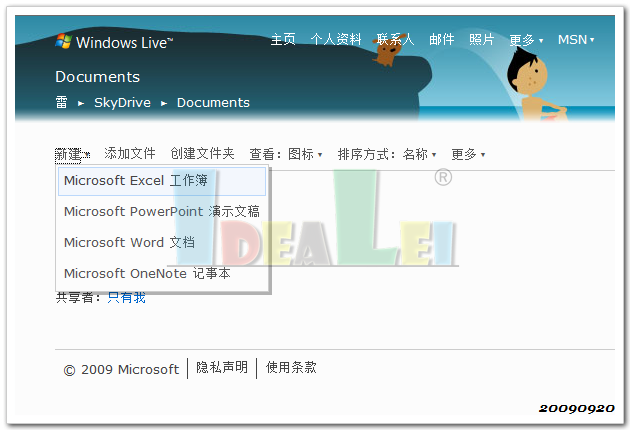 As you may know, the Office Web Apps on Windows Live are free online companions to applications like Microsoft Word, Excel and PowerPoint that let you access, edit and share Microsoft Office documents from virtually anywhere. While the Office Web Apps on Windows Live remain in Technical Preview (meaning they have don’t have all of the features of the final version*), today Microsoft is announcing the beta release of Office 2010 for Windows. 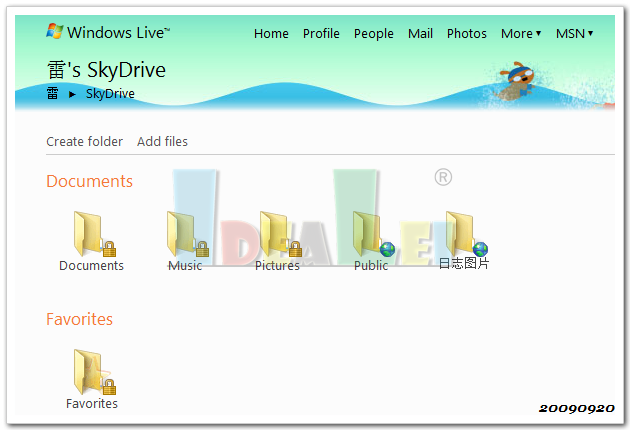 So what does this mean for you as a Windows Live user? 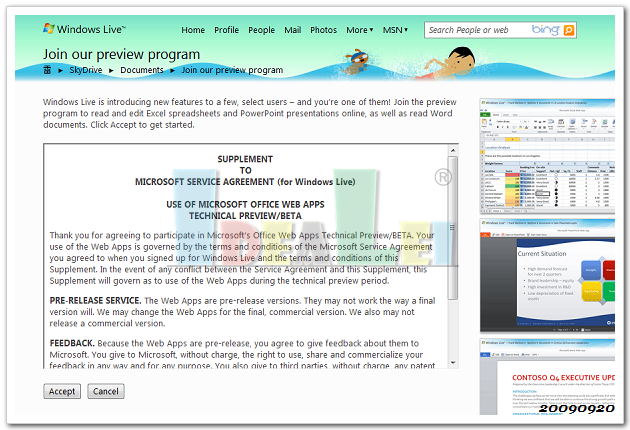 If you are already in the Office Web Apps Tech Preview, you get to experience much more of Office 2010 by downloading the beta and using it with Windows Live. If you are not in the Tech Preview, you can still join by downloading the Office 2010 beta and following the instructions at the end of the installation. If you don’t want to try the Office beta, you can still sign up for Office Web Apps Technical Preview in the US and Japan by clicking here. 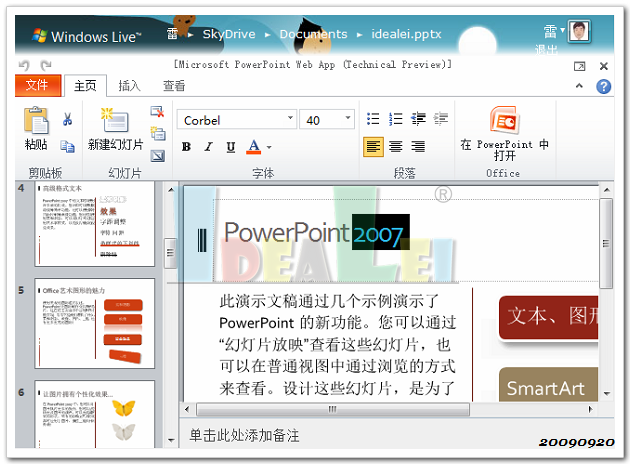 Let’s say a friend shares a PowerPoint presentation with you on SkyDrive. With the Office Web Apps and SkyDrive, you can view and make quick edits to the presentation and share it right back using SkyDrive – all in a browser without Office installed. But let’s say you want to do more advanced editing – like adding a video. 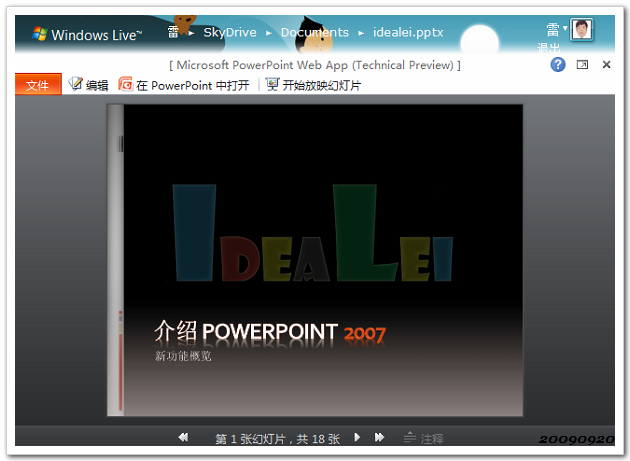 With Office 2010 installed, you can click “Open in PowerPoint” from your browser and continue in PowerPoint 2010 from where you left off. 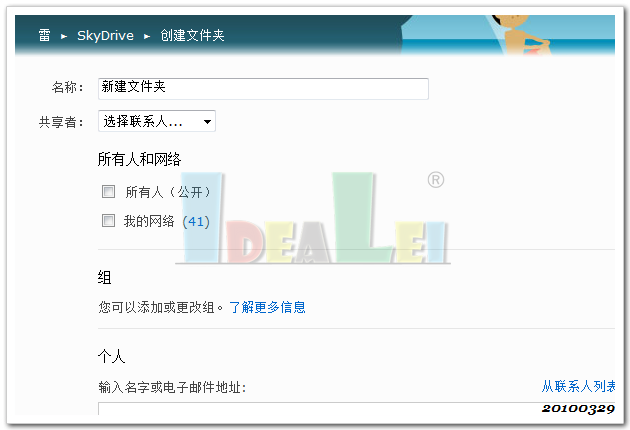 When you are done, you can save your presentation back to SkyDrive by just clicking “Save” and your friend will have access to the latest version. 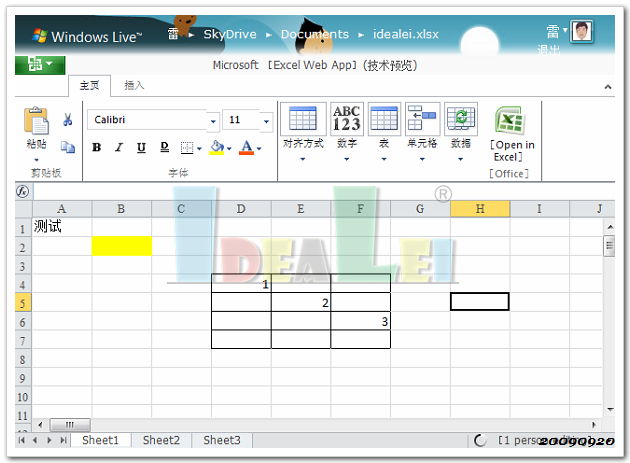 You can also create Office documents in Word, PowerPoint and Excel 2010 and use the new “Save to SkyDrive” feature in the Office File / Share menu to save the document directly to SkyDrive. 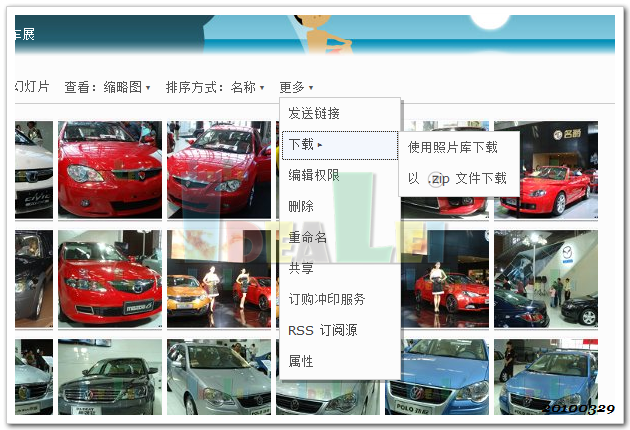 In either case, you can be assured that your document’s formatting will have high fidelity. Imagine that you have created a PowerPoint presentation for a recent school field trip filled with photos, SmartArt and descriptions. Now you want to share it with your grandparents in another city – ideally clicking through the presentation at your own pace while speaking over the phone. 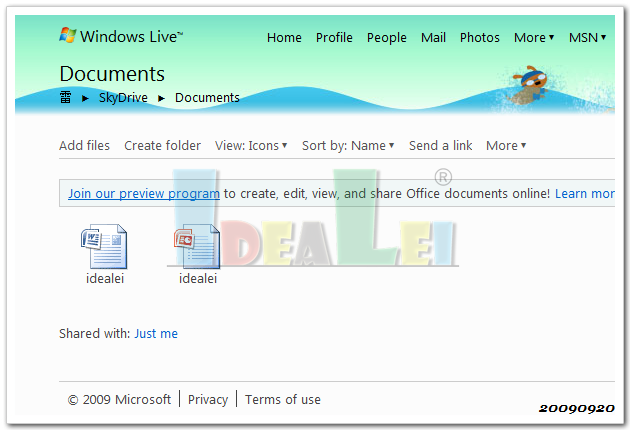 With PowerPoint 2010 and a Windows Live ID, you can easily broadcast your presentation to your grandparents (or anyone) from within PowerPoint by clicking ”Slide Show” and “Broadcast Slide Show” from the ribbon (simpler than using the File menu). All your audience needs is a web browser*. They don’t need PowerPoint and they don’t even need to sign in! 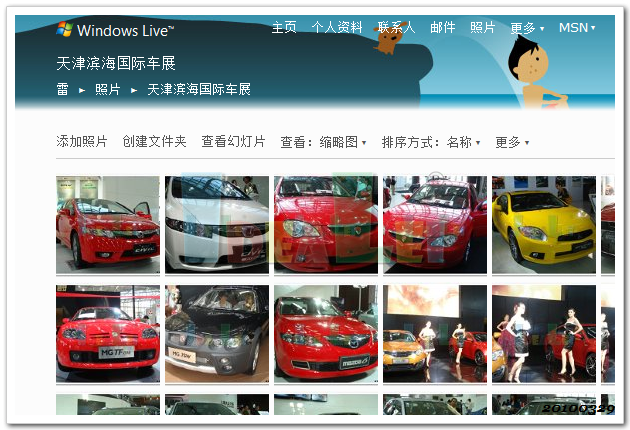 For additional details on Office 2010, please visit the Office website. On September 17th, we announced the start of the Office web app technical preview. Today, we are excited to share the news that the Office web apps team has decided to expand the technical preview further, and they are inviting more people to try out the Office Web Apps. The preview is still limited to users in the US and Japan. If you missed out on signing up for the technical preview earlier, this is a great chance to get in! Check out their announcement earlier today.